Alas, I am in mourning for the Butler Bulldogs. Saturday night’s game was all an NCAA tournament game should be, except for its final outcome. Actually, all four of the teams I was watching – Valparaiso, Missouri, St. Louis and Butler – are now done for the season. That’s right. I’m going to root for underdogs. Louisville, Kansas, Indiana and Duke already have plenty of fans. There are four teams from the bottom half of the regional brackets still in contention. In the West region, 9th seeded Wichita State knocked off top-seeded Gonzaga. (Just as an aside – Butler beat Gonzaga during the regular season. But I digress.) Also in the West, 13th seed LaSalle is still alive. Problem is, these two teams meet next, so who to root for? Wichita State lives up to its Shockers moniker, but LaSalle is the underdog of the matchup. This may be a game where it’s cool to root for everyone. In the West, 12th seed Oregon is still alive, having beaten Oklahoma State and St. Louis University. I personally believe that the reason that Oregon was not seeded higher is due solely to its (shall we say quirky?) team nickname. Go Ducks! Beat Louisville! And finally in the South, Florida Gulf Coast University, in it’s second year of eligibility for the tournament, has reached the Sweet 16 as a 15th seed. This is a dream team for an underdog fan. Plus there is enough black and gold still running in my veins to dream of a FGCU victory over Kansas. But first they need to play Florida. Whatever the outcome, Friday is going to be a great day for the Sunshine State. 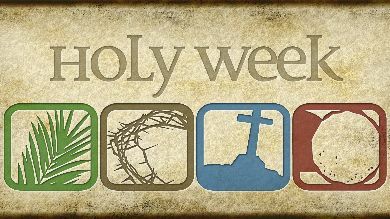 More importantly, I would also like to wish everyone a blessed Holy Week. Easter is by far my favorite holiday. The life, death and resurrection of Jesus Christ is the real reason that there’s no need to fear. The 2013 NCAA championship bracket was released yesterday. I would love to see my alma mater, Missouri, do well, but unfortunately Mizzou Arena is not the venue so I am not sanguine for the Tigers. I am impressed that so many mid-major schools are participating in this year’s tournament, one of my favorite teams among them. The Butler Bulldogs first crossed into my radar three years ago. Laura’s middle school team, the Trinity Lutheran Lady Tigers, was making its second consecutive appearance at the Lutheran Basketball Association of America national tournament held at Valparaiso University. As one of 32 participating teams, we had some down time between games. Since we were in the heart of Basketball Central USA – Indiana – in the midst of the NCAA championship, the Butler vs. Syracuse (1st seed, West Region) game was broadcast on the local affiliate. Butler’s undergraduate student body numbers just over 4000. Ten players – two thirds of their roster – came from Indiana high schools, as did their coach. I was charmed by the story of this team and their geeky 6’8″ forward Matt Howard (BTW he plays in France now). I was impressed by their young coach, Brad Stevens. He was calm, gentlemanly, and seemed always to bring out the best of his players without any drama. The game itself was a nail-biter with the Bulldogs upsetting Syracuse 63-59. Two days later we watched Butler win again, this time vs. Kansas State (2nd seed, West Region), 63-56. 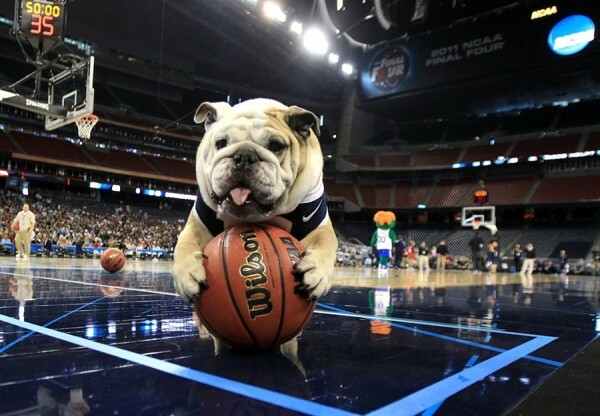 The Bulldogs beat Michigan State by two points to reach the national championship game. Laura was rooting with me for Butler right up until the championship game, but she is a longtime Duke fan and bailed on me for the final. I truly thought Butler was going to win it all, but the final shot bounced back out and the Cinderella team finished second. Then the Bulldogs did the same thing all over again in 2011, finishing second to Connecticut. They did not play in the 2012 tournament, but they are back in 2013, seeded 6th in the East Region. I remember senior Andrew Smith from the 2010 and 2011 tournaments but the rest of the players are new to me. Of special note, Butler is one of only two teams to beat 1st ranked and #1 West seed Gonzaga this season. Butler also defeated then top-ranked Indiana. 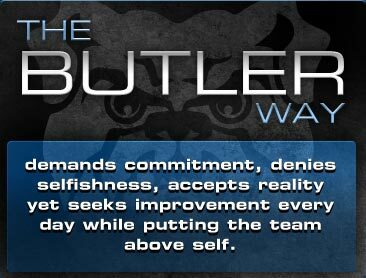 In closing, I’d like to compliment Butler University on its athletic mission statement. Wouldn’t it be great if all teams adopted this philosophy? And finally a shout out to the TLS-Jeff City boys basketball team headed to the 2013 LBAA tournament in Valparaiso, the first Trinity appearance since the Lady Tigers in 2010. Go Tigers! Hartman’s Believe It or Not! Mary Fallin was born in Warrensburg, where Missouri Girls State is held. Her husband was born on December 14. So was Phil! Life is chock full of strange little occurrences. Take the time that Hanna checked out a novel about Queen Esther from the library. 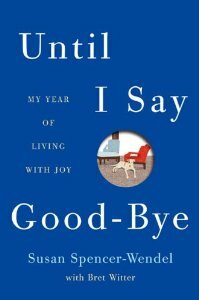 It was a nondescript book with a plain cover that looked like it was hardly ever checked out. As she sat down to read it, something fluttered out from between the pages. She came running to show me a photo of Laura and a friend on a hike at Runge Nature Center. Or the time I took the kids to the Jasmine Moran Children’s Museum in Seminole, Oklahoma following a fruitless attempt to visit the state capitol building, which unknown to me, was closed on Saturday. (Wait – isn’t Oklahoma where Mary Fallin is governor? But I digress.) This is an outstanding hands-on museum, but in an obscure location. At some point one of the kids misbehaved and I had to address him/her by all three names using the stern mommy voice. A pleasant older woman nearby asked, “Oh, are you the Hartman family from Jefferson City?” My astonishment must have showed, because she went on to explain that she and her husband had also come from Jefferson City and had noticed our names on the visitors’ log. What are the odds? Erna was one of the first few high school chums I connected with. I fully expected to find common high school buddies among her friends, but I did not expect to see Kay, an acoustic neuroma friend. They both live in Texas, but how did they know each other? Turns out that Erna’s husband and Kay are cousins. Another acoustic neuroma friend, Cheryl, who lives in Iowa, sent me a message asking about my high school friend Stephen, who now lives in Colorado. She thought that she used to live next door to his grandparents. Was his mother named Helga? Well of course she was! Two of my classmates from the same small Midwest high school linked to two unrelated persons that share the same rare surgical side effect as I have. It’s a small world and social media is making it even smaller. Do you have an interesting coincidence story? Tell me about it in a comment.